Michael Jackson and I were exposed to America in the same year 1969. The Jackson 5 landed their first megahit “I Want You Back” and I landed in New York City. Michael Jackson with (and without) his brothers provided the soundtrack of my life – and a beautiful and memorable soundtrack it is. I remember house parties in Brooklyn apartments from Ebbets Field to Vanderveer where the kids entertained the adults by mimicking the choreography of “I Want You Back”, “ABC”, and “The Love You Save”. I wasn’t in love with Michael, my heart belonged to Sigmund Esco Jackson the older brother with whom I created an inner fantasy life (if you have never listened to his album, you should run out and get it right now). 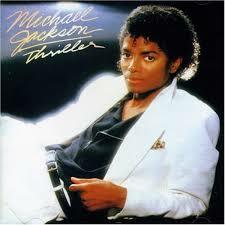 Michael’s songs “Ben”, “Got To Be There”, and “I Wanna Be Where You Are” took me from puberty into my teenage years. My 2 oldest children watched “Thriller” every day, over and over and over, we wore the tape out. I think the fact that my son Khalil is a professional dancer and choreographer today is due in large part to Michael and Thriller. My youngest Jalen loved Moonwalker, we wore that tape out too and moved on to the Ones DVD. I learned how to interact with people as I grew older, I don’t think Michael ever learned how to trust adults, or handle money or any of that normal stuff. At the end of the day (I believe) he was a good human being, who left us with some wonderful music – his and the music of those he inspired (Usher, Justin Timberlake, Chris Brown, Neo, Ginuwine, Beyonce and on and on). He didn’t steal the Beatles catalog – it was available, he bid on it and won, Paul McCartney and Yoko Ono were not interested initially. I am declaring this a MJ no bash zone – there are plenty of other blogs where you can go talk bad about Michael, this isn’t one of them. 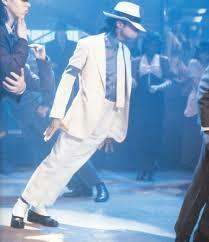 RIP Michael Joseph Jackson – thanks for the memories.